If you live within 10 miles of the seacoast, chances are you know how harsh salt air can be on an outdoor unit. This tough Comfort series model is designed to withstand the rigors of your environment and is backed by one of the best seacoast warranties you’ll find for a heat pump. Like all Comfort series heat pumps our coastal model is designed simply to be reliable, efficient and affordable. 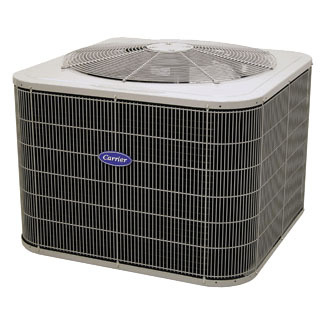 Be sure to pair it with the right, SEER-boosting indoor furnace or fan coil to gain the most efficiency. 4 To the original owner, when product is used in an owner-occupied residence, a 5-year seacoast corrosion parts limited warranty. See warranty certificate for complete details. 5 Epoxy-phenolic coating for superior corrosion resistance.